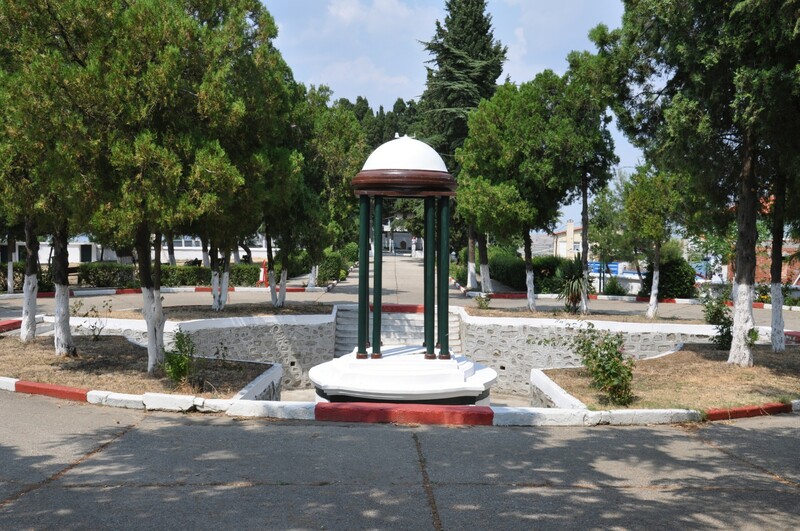 Bolayır is a town in Çanakkale Province, located at the base of the Gallipoli Peninsula in Thrace region. Despite the small number of inhabitants (around 2000) and the relatively recent status of a town (in 1958), Bolayır boasts a very turbulent history and two important tombs. These mausoleums, situated on a hill overlooking Bolayır, are the reason you should stop in this town for a moment during the journey further to the south. During the First Balkan War, In January 1913, a decisive battle was fought between Turkish and Bulgarian forces near Bolayır. The event went down in history as the Battle of Bulair. From the beginning of the war, the Ottoman fortress in Edirne was blocked by the Bulgarian army. To break this blockade, the command of the Turkish forces prepared a campaign in a westerly direction. The offensive started at dawn on January 26th, and the Ottoman army enjoyed favourable weather conditions. Thick fog gave them an advantage as the element of surprise because the Bulgarians saw the approach of the 27th Infantry Division Myuretebi only tens of meters in front of their positions. An exchange of artillery fire started, slowing down the progress of the Turks. The Turkish forces were initially successful, concentrating on the coast of the Sea of ​​Marmara and slowly encircling the left wing of the 22nd Bulgarian infantry regiment. Recognizing the threat, the Bulgarian commander decided to counter-attack. In the face of the offensive, Turkish soldiers panicked and started running away from the battlefield. Many of them died during the retreat, killed by the Bulgarian artillery. In the afternoon, there was a second attempt at the Turkish offensive, but it was also stopped by the Bulgarian army. In total Ottoman forces lost half of their soldiers involved in the initial attack, and almost all equipment, abandoned during the retreat. A military march was later composed to commemorate the Bulgarian victory, and the village in Varna district was named Bulair. There are two important tombs in Bolayır, perched on a hill overlooking the plains of Eastern Thrace. 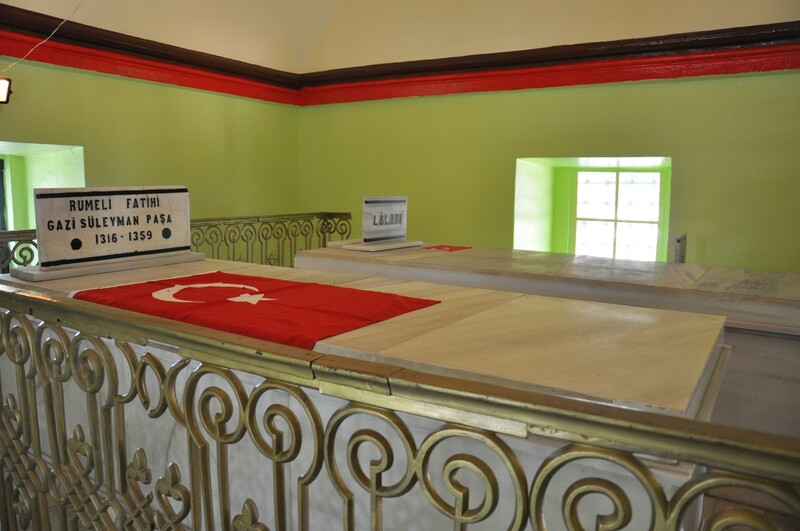 The first tomb is the Mausoleum of Suleiman Pasha (tr. Gazi Süleyman Paşa Türbesi). 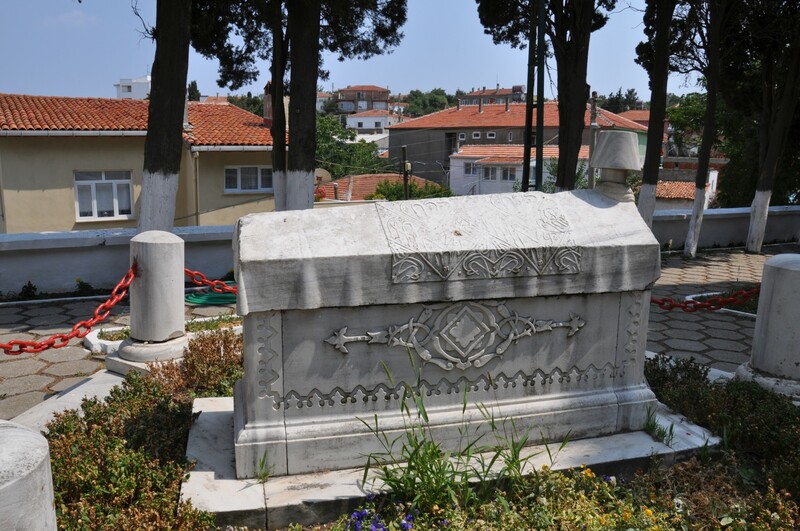 The second bey of the Ottoman Empire, Suleiman, the eldest son of Sultan Orhan I, was buried in this traditional brick tomb. In the early days of the Ottoman Empire, the title of the bey was granted to the administrators of Ottoman capital cities. 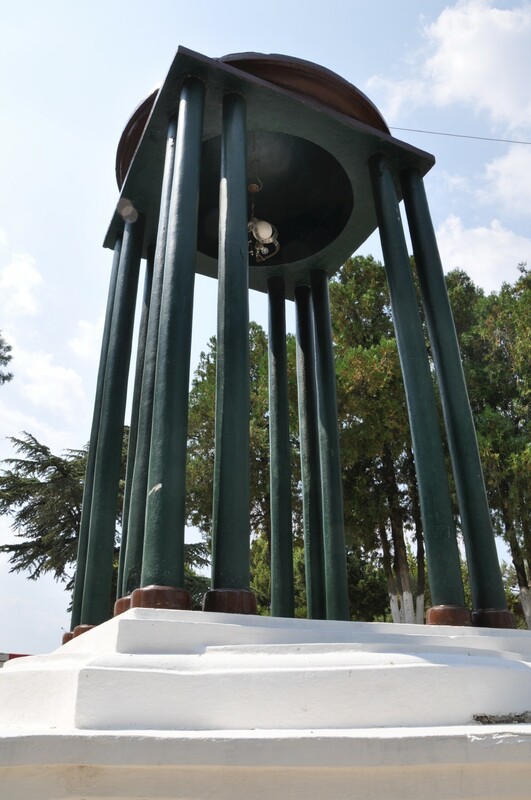 The first Ottoman capital was in Bursa, and the second one - in Edirne. Suleiman Pasha became famous in the history of Turkey as a military commander who first controlled the areas located in Europe, on the Gallipoli Peninsula. This conquest contributed to the strengthening of the position of the empire and the expansion into Europe. The famous commander was seen as the natural successor to Sultan Orhan. Unfortunately, he died before his father, in 1357, as a result of injuries sustained from falling from a horse while hunting with falcons. At the behest of his father, he was not buried in Bursa, where his grandfather, Osman, had been interred, but on the shores of the Dardanelles. 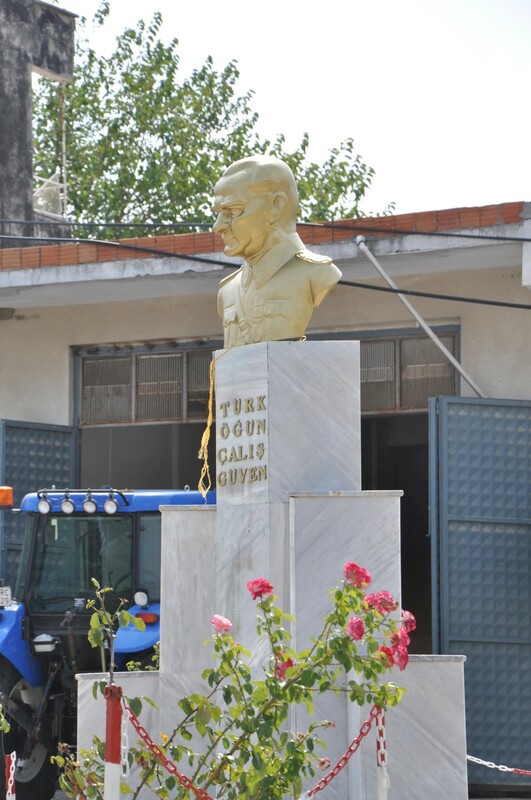 This choice was to symbolise the recognition of his merit in controlling the areas of Eastern Thrace. 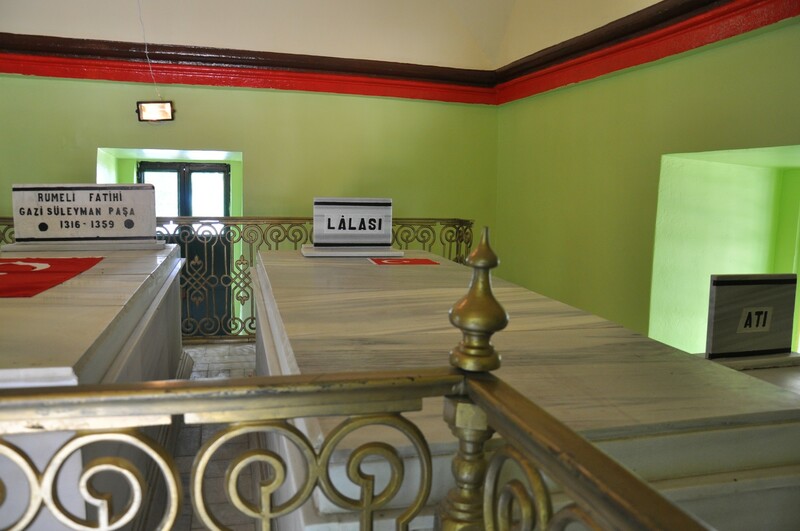 His teacher and mentor, bearing the title of lala, was buried in the same tomb. More surprisingly, the third sarcophagus in the mausoleum belongs to his horse. 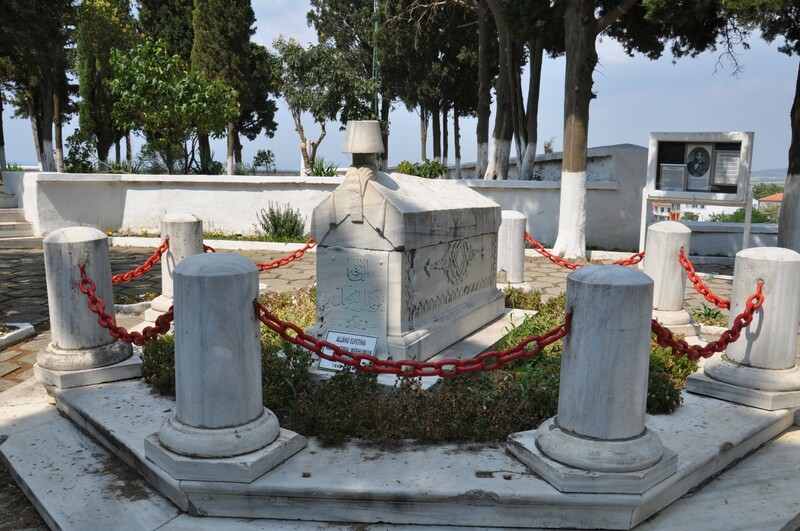 On the same hill stands the Tomb of Namık Kemal (tr. Namık Kemal Mezarı), the nineteenth-century poet. 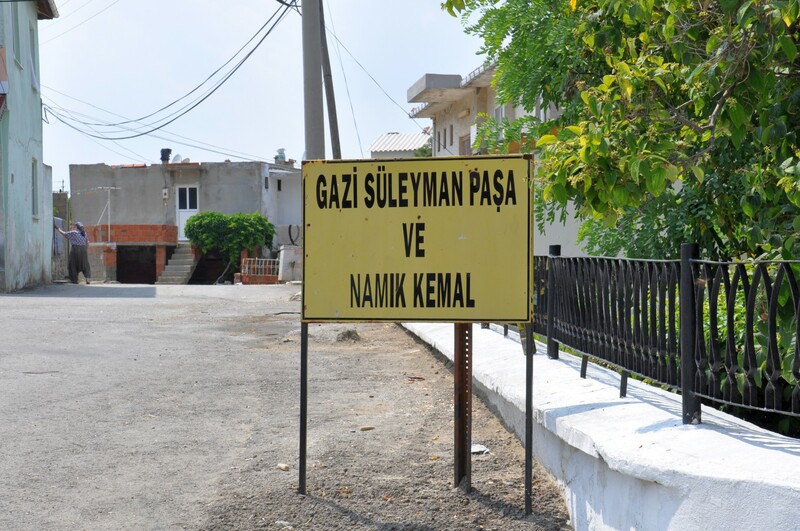 Namık Kemal was an advocate of two innovative (in the Ottoman Empire) slogans: freedom and homeland. 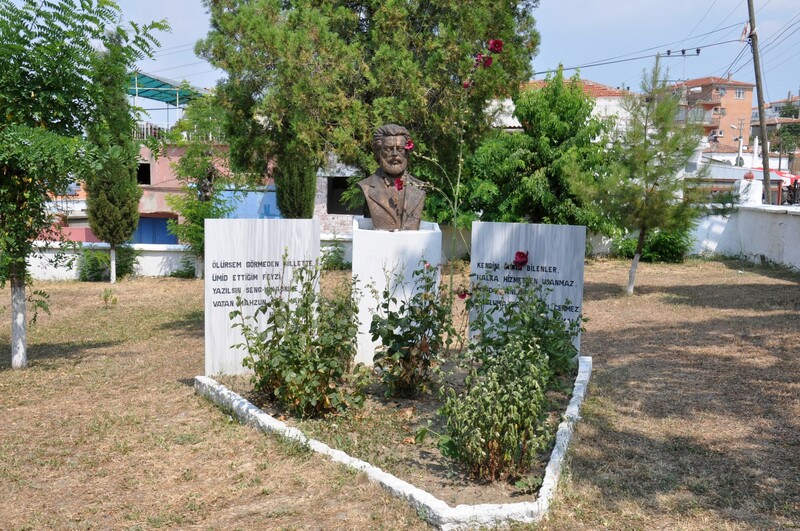 Namık Kemal died in 1888 on the island of Chios, where he served as a governor. 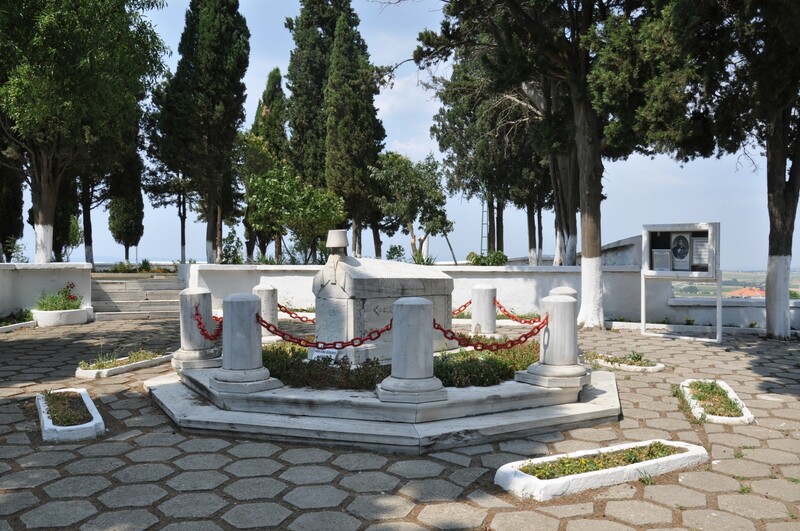 However, his wish was to be buried in Bolayır, alongside Suleiman Pasha, and his will was carried out to the letter. 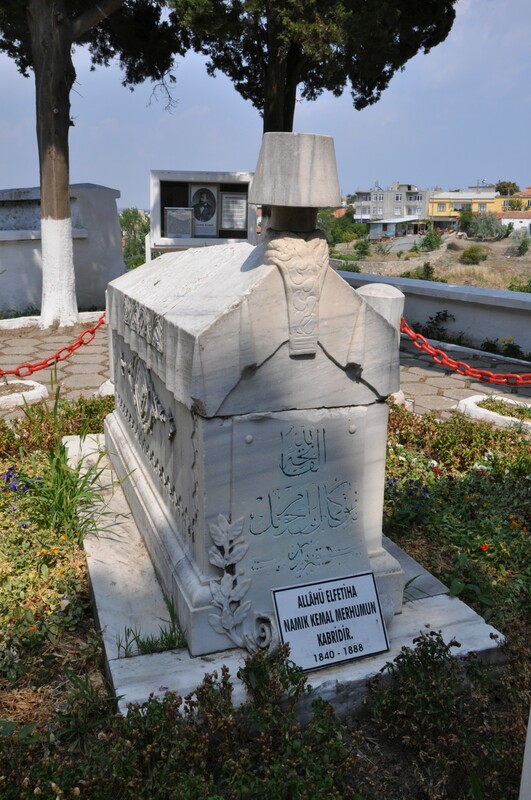 In addition, there are two other places connected with the figure of Suleiman Pasha to be seen in Bolayır. The first of them is the mosque that bears his name (tr. Gazi Süleyman Paşa Cami). It dates back to 1356, but the building was later completely redesigned, with very disappointing results. The second sight is his statue (tr. 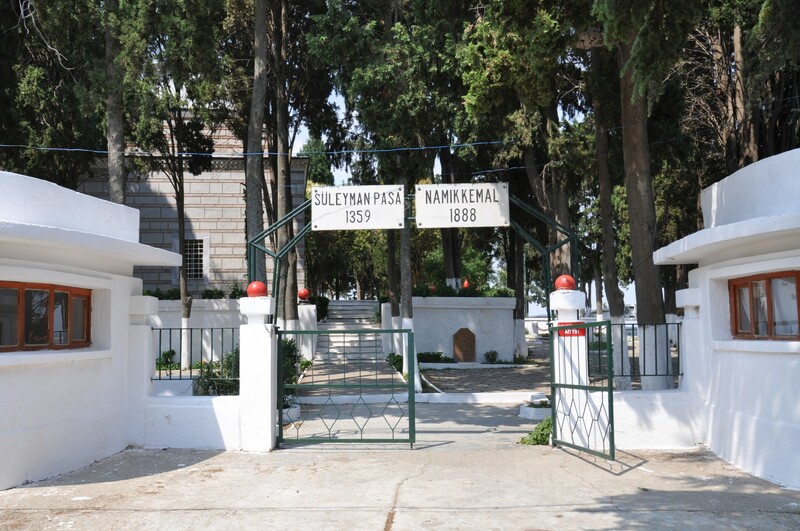 Gazi Süleyman Paşa Heykeli), standing near the entrance to the park where the two discussed tombs are situated. Bolayır is located right on the E87 route which connects the towns of the Gallipoli Peninsula. 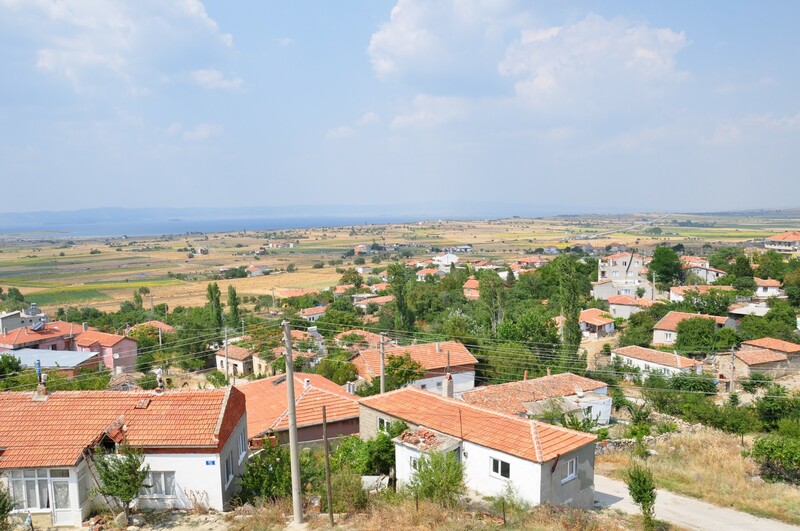 The town is situated at a distance both from the coasts of the Aegean Sea and the Dardanelles. Travellers enter the town driving along İstanbul Caddesi, which runs through the centre of Bolayır, and then goes further to the south-west, running parallel to E87 route, up to Gelibolu. All public buildings and service points in Bolayır are located on this street, and because the town is tiny, it is practically impossible to get lost. 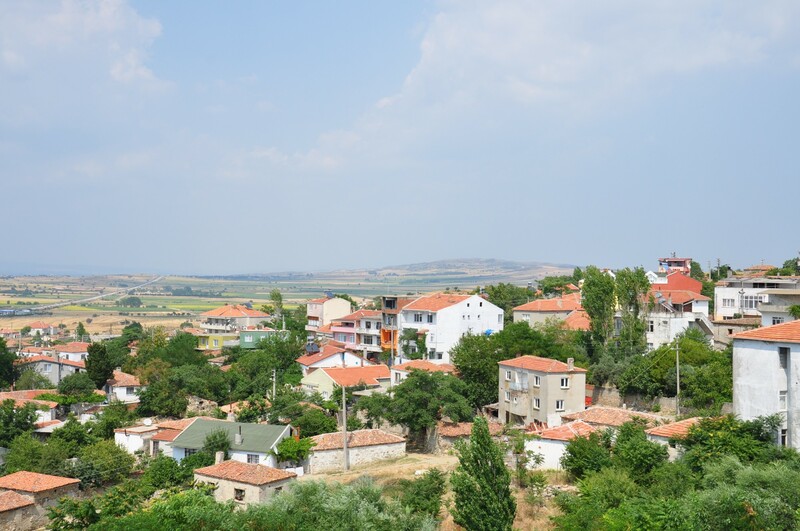 The town of Bolayır also includes Güneyli village which administratively belongs to the town, but is situated 10 km to the west of the centre, on the Aegean coast. There you can find hotels and guesthouses, as well as several bars and restaurants, aimed at customers who come there for the sunbathing and swimming in the sea. Another lovely sandy beach in the area, called simply Bolayır Beach (tr. Bolayır Plajı), lies 4 km to the north of the city centre, in a pretty cove. There are numerous summer cottages there, and a couple of food courts. It is possible to dine in the centre Bolayır at several simple restaurants offering traditional pastries (Orfoz Lahmacun Ve Pide Salonu) and dinners (Bolayır Lokantası). The beach district of Güneyli offers a wider range of dining options, at slightly higher prices. Among these venues, Portofino Restaurant&Café enjoys the best reputation among customers. Bolayır is not a shopping paradise, but many shops sell basic groceries in the town centre. Several service points are located on İstanbul Caddesi, including Opet petrol station, a taxi stop, and a post office. In Güneyli, there is a discount shop that belongs to A101 network. By car: if you come from the direction of Istanbul (260 km) or Edirne (165 km), exit E80 highway in the direction of Keşan (through Havsa and Uzunköprü), by taking D550/E87 route. Bolayır is situated on this road, 18 km to the north of Gelibolu. The right exit is marked with brown signposts that direct the travellers to the famous tombs of the hill. The best idea for accommodation is in Güneyli, where you can find a luxury Mercan Hotel, with its restaurant, a swimming pool, and rooms with sea views. Expect to pay as much as 300 TL for a double room (breakfast included). 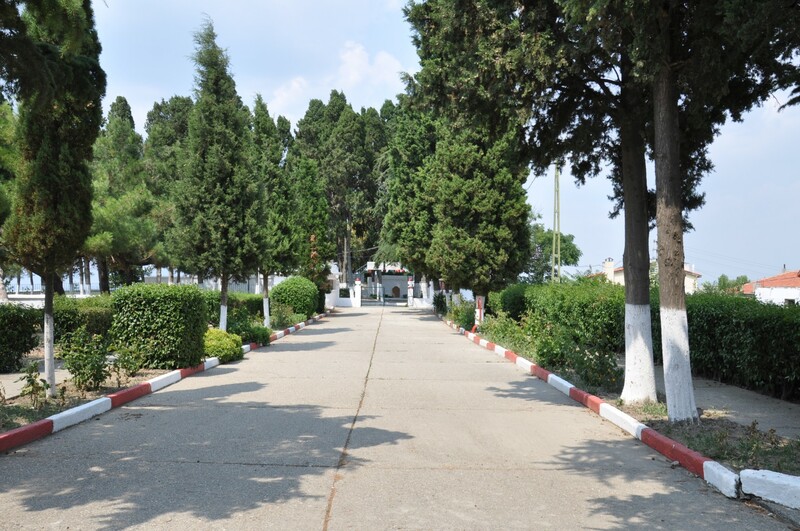 A cheaper option, but far lower quality, is Köşk Motel, situated in the same area.